Signing up to my newsletter is incredibly easy. Just fill in the form on the right hand side, hit “subscribe” and wait for an email. That first email will contain a confirmation link you have to click if you really want to get any updates. That’s for your safety, so nobody can add you to this newsletter willy nilly. 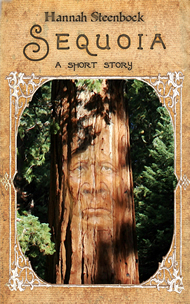 And even better: As a thank-you gift for signing up, I will give you my Cloud Lands short story “Borderline” for free! How’s that? So if you’re ready to get my freebie, as well as the occasional newsletter, fill in that form and click the confirmation link, and you’ll get a download link for your free copy. If you cannot see the form on the right hand side, go to This Link for the sign-up. Thanks! And then you are all set!